DETROIT -- General Motors plans to cut its powertrain warranty on Chevrolet and GMC vehicles for the 2016 model year, concluding that its standout offer of 100,000-mile coverage -- in place for nearly a decade -- wasn't a strong enough selling point. The five-year/100,000-mile powertrain coverage -- once touted by former GM CEO Rick Wagoner as a symbol of the improved quality of GM's vehicles -- will be reduced to five years/60,000 miles for '16 models. The brands will continue to offer courtesy transportation and roadside assistance during the coverage period. The five-year/60,000-mile coverage matches that of many of GM's largest competitors, including Ford, Toyota and Honda. Hyundai and Kia offer a 10-year, 100,000-mile powertrain coverage, which the Korean brands bill as "America's Best Warranty." GM also will scale back its offer of two years of free maintenance, including oil changes and tire rotations, on most new Chevy, GMC and Buick vehicles. The brands, which began the free-maintenance deal for model year 2014, will reduce the number of free service visits to two, from four, starting with '16 models. Both changes were announced in a memo sent to dealers on Wednesday. GM's 100,000-mile powertrain warranty took effect for the 2007 model year. The move was announced in September 2006 by then-CEO Wagoner during a large press conference along the Detroit River outside of GM's headquarters building. The decision, which Wagoner and other top executives hashed over for several months, was seen as a way to help close the gap in the perception of quality between GM and its Japanese competitors and give customers more confidence in GM's vehicles. GM also believed it would help boost certified preowned sales. 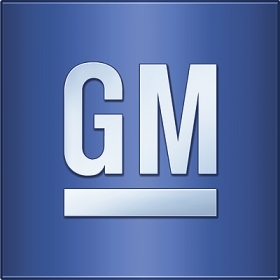 But it turns out that the extended warranty hasn’t been as big a draw for customers as GM had expected. "As a result, we have benchmarked our competitors, reviewed our current offerings and have concluded the following modifications to align closely with our customers’ needs and expectations," it said. A GM spokesman said both the powertrain warranty and the inclusion of free scheduled maintenance remain "among the most competitive in the industry." “The financial impact of this change is immaterial and any savings will be reinvested in features customers value like advanced vehicle technology," he said. Buick and Cadillac will keep their six-year/70,000-mile coverage, the memo said. That coverage was revised two years ago from the five-year/100,000-mile level. The Volt plug-in hybrid will retain its 100,000-mile warranty on its battery pack and drive unit, a Chevy spokesman said. GM rolled out the free-maintenance program as a customer-retention move. At GM's annual shareholders meeting in June 2013, then-CEO Dan Akerson said it was meant to "forge even stronger relationships" between GM dealerships and customers and "to kick the ownership experience off on the right foot." Some dealers have said that many customers don't bother to take advantage of the program, which includes a 27-point inspection.